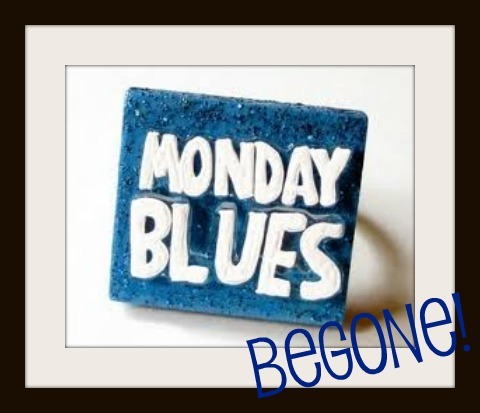 How do, Monday, it's been a while - though it may only feel that way with the Bank Holiday hiatus. Of course we took a break for the hollier but we're back today with just a few Moments that have been chasing the Monday blues away. Ready? 1. Great Googly Moogly This Stuff is GOOD!! There are many things that Essie Button enables me to buy but the very latest is probably my most favourite, for now. 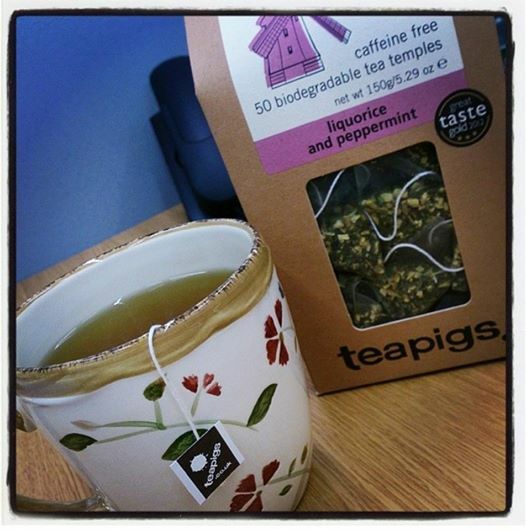 I can never adequately describe to you the deliciousness of Teapigs Liquorice and Peppermint tea but suffice to say, it's only been a fortnight and I'm addicted. The sweetest, roundest tea with a kick that I've ever tried, I knew as soon as I tasted it that it would make incredible ice tea and boy does it. I can't count the cravings these caffeine free wonders have staved off in the past couple of weeks. You need to try it. Like now. Behold, the Moment the youngest Gorgebag got a squish of the newest Gorgebag and them hitting it off immediately. 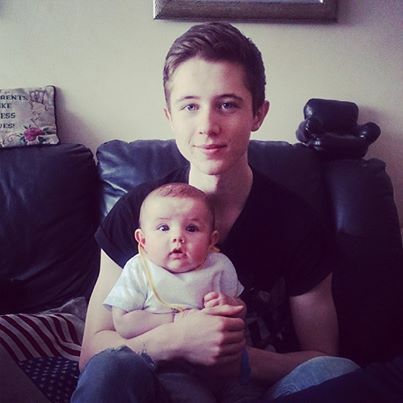 Squidgy Alexander here is my newest nepher and this is the first time we've met him as he's a Welshman living in Welshland with my biggest Broseph and his Momma. The sturdiest and most content little chicken I've met in a quite a while, he settled right in and made friends with every one of us. My Momma whispered 'Don't get any ideas' as I got my squeeze of him, so naturally I did the same to Adam as I handed him over. He'd only just composed himself as this pic was snapped. Good times. 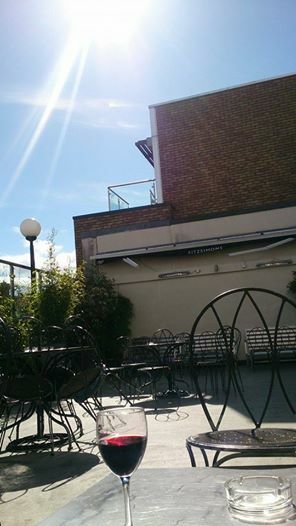 A couple of days last week were given over to pandemonium of meetings and events, I'm 100% not complaining as we get to do some very, very cool shizz but while bating between appointments the Sis and I took 20 minutes out to enjoy the sunshine in the suntrap that is Fitzsimons rooftop bar. Why did none of you tell me this little manna from heaven was here? It was completely deserted and just 20 mintues with a Ribena (yeah I said it) was just what was needed to up the vitamin D count and recharge us for the rest of the day. Believe me, if ever the sun is shining and you're passing? Get suas those staighre and thank me later. Bliss. 4. Thumbs up for Preggo Brain! Sometimes I forget what it was like to have 'baby brain', I forget that it actually starts in early pregnancy and haunts you for at least a year, if not more. It was only when my Sis visited last week that I saw it in action again and haven't stopped laughing about it since. Diesel, our big fat rottie spends his days (when not trying to catch airplanes from the trampoline) sleeping at the top of the stairs. When I was coming up said stairs last week, my Sis was coming down and I caught her giving him a thumbs up accompanied by 'Alright, Dog?' as she passed. It was only when I interrupted her with 'Eh, what are you doing?' that she joined Diesel in looking baffled and we both burst out laughing. F yer preggo I, dogs don't understand thumbs up. Not even slightly. Hi. LAR. ious! 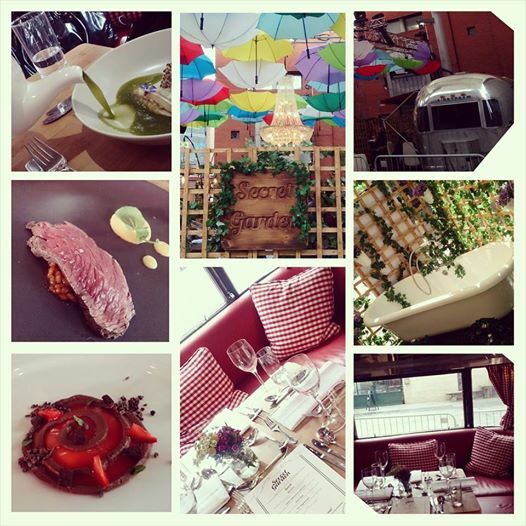 Lastly, one of the loveliest experiences I've ever had - The Secret Garden Dublin Pop Up. We had the absolute pleasure to be guests at Meeting House Square last week, where Dublin Pop Up had transformed the space into something straight out of Alice in Wonderland. Blissed out tunes, an other worldly layout and some of the most delicious dishes I've ever had the delight in scoffing, The Secret Garden had to be seen to be believed. It was only on Thursday that we were let in on the actual secret behind the Secret Garden.. watch the video here to see Lidl Ireland, Claire Moran, Harry Colley, Cúán Greene and the amazing team pull off one of the most genius PR, feel good, culinary stokes in history. You should all be very, very proud of last weeks success. I'm only raging it isn't a permanent fixture but isn't that half the pleasure? Fleeting and fabulous. If you were there I'd love to hear how you got on. So tell me, what's brightening up your Monday? What are you grateful for this week? Have you a Moment to share?